1989 Chevy Silverado 1500 350 engine, 700R4 trans with a 1957 Lincoln Premier rear clip. 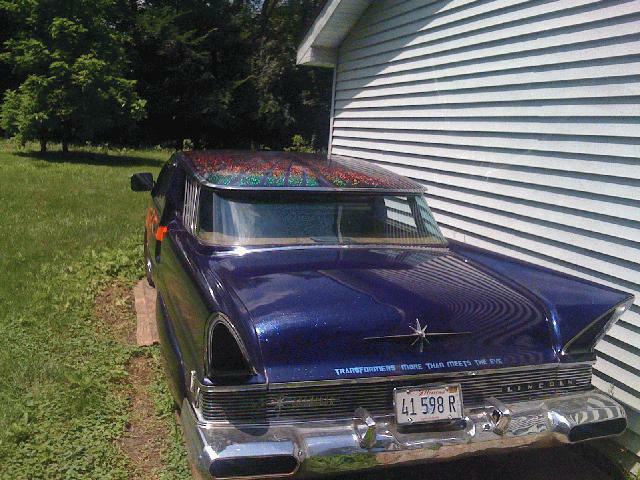 The roof is a 1959 Caddy flat top with a wrap-a-round rear glass. The roof is chopped 71/2 inches. Custom metal flake paint. Too Much To List! Runs excellent. $11,000 or best offer OR trade for a 1957 Olds Four door Hardtop.